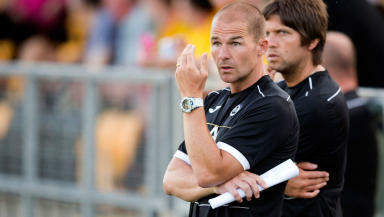 The Firhill side have added two to their squad ahead of the Premiership season. Partick Thistle have announced the signing of two new midfielders ahead of the new SPFL season. Barcelona youngster Simon Colina and former Aberdeen player Isaac Osbourne have joined the club two days before the season opener against Dundee United. Colina, an 18-year-old midfielder is a product of Barcelona's youth system and was a captain of their 'Juvenil B' team. 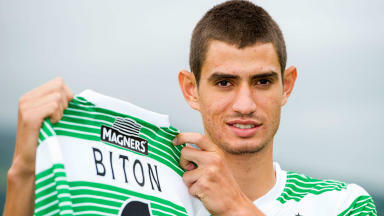 He has signed a two-year contract with Thistle after being released by the Catalan side. Thistle have also finalised a deal with Osbourne, who has been training with the club in pre-season, on a one-year deal. Archibald has already added seven new faces to his newly-promoted side with John Baird, Paul Gallagher, Mark Kerr, Henoc Mukendi, Gary Fraser, Ross Meechan and Mexican defender Gabriel all having signed on. Paul Paton and Chris Erskine have departed for Dundee United, while Ryan Scully and Mark McGuigan have gone out on loan to Dunfermline and Albion Rovers respectively.